After recovering and reading old material on the many ISDT before the Second World War it is evident that any average Britiah person who read the national or local newspapers, went to the Cinema or listened to the radio (BBC was the only choice) would have been aware the ISDT had been competed whether it was held in this country or abroad. The media of the day heavily featured it in sports reports and on news reels. Like todays Formula 1, even if you were not fussed about it you would know it was on. In 1937 after 3 years on the continent , Germany being precise, the event returned to the UK in July 1937 and like 1933 it was held in Llandrindod Wells in Radnorshire, Mid Wales. The Germans having hosted the event had perceived it to be both an important sporting event that winning satisfied their self-belief of superiority and also provided worthwhile training for military motorcycle specialists. 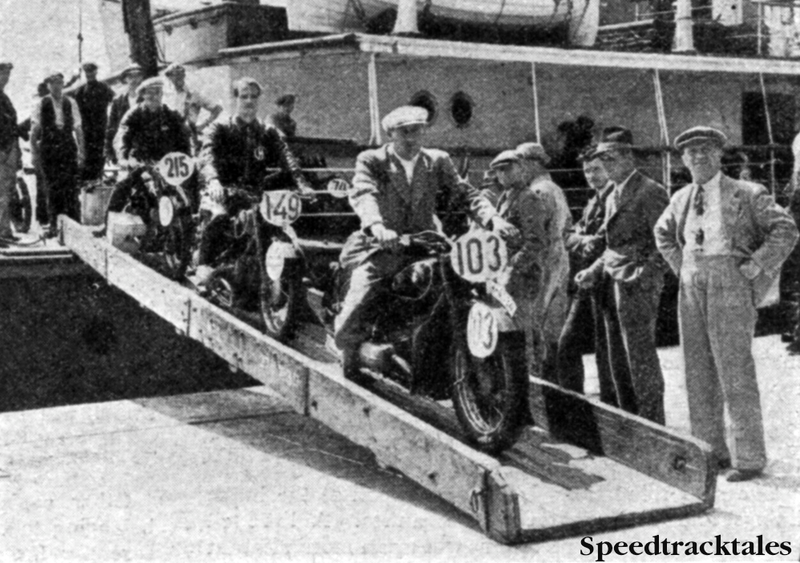 The story of the ISDT 1937 can be read on its own page and we have also obtained a copy of the 14th July 1937 Motor Cycling with its report of the opening of the event arrival of the riders and the first days of riding. You can view a copy at our issuu.com library. The party, including German Army Stormtroopers, did not immediately proceed to Mid Wales, but instead called by Cheltenham for a formal reception at the invite of the Councillors of the Town. I would not be surprised if in 1983, the year the event was last held in Wales, had a Russian team also have called in Cheltenham on the way, that national security interest would have led to a diplomatic incident. Reports of this reception form local newspapers at the time can be read on the ISDT 1937 page. So much so in 1940 the issue of the participation of German Troops on Motorcycles reared its head as concerns were raised in the Nottingham Evening Post about the potential risk of invasion by the crack German Motorcycle regiments that frequently preceeded the invading German troops into battle.